This is a rectangular Singer Sewing Machines porcelain sign. 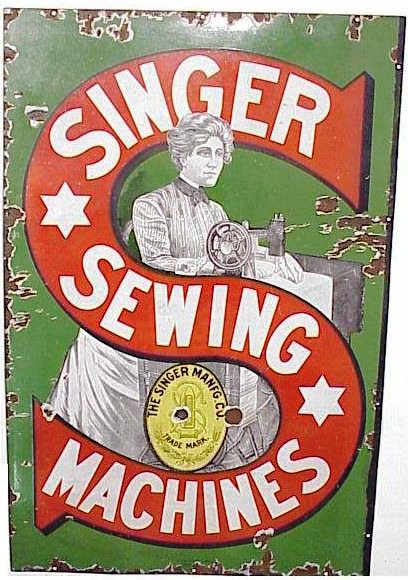 This particular Singer Sewing Machines sign is predominantly green with a large red “S”. It reads, “Singer Sewing Machines, The Singer Manfg. Co.” and features the gray image of a woman using a Singer sewing machine in the center of the sign.